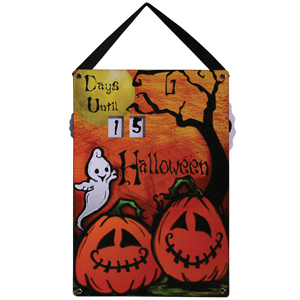 • Countdown the days with a friendly Ghost and two Jack O’ Lanterns. • Made from MDF, these wall hangers have a wheel on each side to change the count. • Packed 12 per case, $6.30 each.